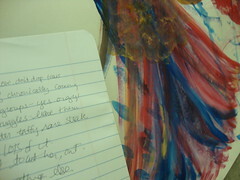 As I write it is May 21, 2011, about 11:40a.m. This time I have a really good reason to start the post this way. If you are reading this post that means that you either stayed and the #rapture didn’t take you, or maybe the #rapture only happened in Oakland, California, where Harold Camping‘s Family Radio is based on. Oh.. hold on. I’m sorry. I just read that apparently, it is only supposed to happen at 6p.m. (in every country). I have been trying to get into Family Radio’s website, but I guess they’ve had an early #rapture experience. Nonetheless, 6p.m. has come and gone in the Pacific nations, and nothing has occurred. What then can we conclude about all this havoc? I think Jesus made it very clear that no one, not even Him, would know the day when He would return. If not even Jesus, who is God‘s son, knows the day, why then would Harold Camping, a self-proclaimed Bible-scholar, who hasn’t even been in a church for the past 23 years, would know the date? Apparently the world will end tomorrow. #whatdoyouthink ? I think he’s a crook using the name of GOD to become a millionaire. Looking at it again, I see that I really shouldn’t have said so. I don’t know his reasons to make such a prediction. I don’t know if he really is a crook who used his mathematical and Biblical “skills” to fool people into buying into this lie. I don’t know if he actually believed what he was saying, and was certain that the end was near (although – just between us – he is 89, so maybe he really isn’t lying that much). All I know is that he was wrong. If Camping is such an expert of the Bible he would’ve known he was wrong. I am not going to go into the details of the #Rapture, the real one, but here is a quick pick of what really will happen. The saved ones will be taken. Yes, that part of the Rapture if true. Those who did not believe will stay for a second chance. After that, there will be three and a half years of peace, followed by three and a half years of tribulation. This total seven years, which the Anti-Christ will rule the earth. Then there are a thousand more years when Jesus will rule the Earth. This is roughly written. There are way more fascinating details to the whole process, so I found a timeline that can explain way more than I can. Distraction-free writing? I didn’t think that was possible! As I write this it is 3:25p.m. (I started at 2:30p.m.). Have you realized I love to open posts with this line? I think it’s important to register the time on which the writing took place. I can also tell you I am currenly at work (someday I’ll write about this place). It is raining outside and at this time I have nothing to do (but to wait for the phone to ring with angry customers and their complaints). It’s in this setting that I decided to try out WordPress’ new feature: distraction-free writing. Like I said in the title, I didn’t think that was possible, but after trying it out I can definetely say that it is one of the best new features that WordPress has ever introduced. It’s like writing in a blank piece of paper, without any of the distractions on the side, like the spelling checkers, font stylers. Just plain blank screen where one can express one’s thoughts. I absolutely love it. If you do not have a WordPress blog yet, go ahead and get one, and start writing. Do it… just write. I have just joined Social Vibe, and I am now supporting Music for Relief. Please click on the cool widget on the sidebar or go to http://socialvibe/fabiolima to help on the cause. Music for Relief is a program created by Linkin Park. They donate part of the money earned by their albums, while also creating new singles for specific relief campaigns. Their most recent project is relief for the victims of the Mississippi Flood. Do not take revenge, my friends, but leave room for God’s wrath, for it is written: “It is mine to avenge; I will repay,” says the Lord. As I write at this moment it is 11:04p.m. of May 1, 2011. An historic day for the United States; the man it most wanted to kill is finally dead. Osama Bin Laden is no more, and I can’t help but feel like this “great accomplishment” is nothing but vague words in the uproar of “Justice”, and that as quick as it came, the same way it will go. 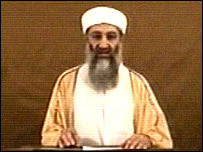 Do not mistake me for making apologies for Bin Laden. On the contrary, as with the rest of the world I am a believer of freedom and justice and democracy, but not like the rest of the world I do believe in the utmost love that GOD has for all. I do mean ALL. This event proves that we have so much more growing to do. In a way bin Laden has already won, he encited a nation to spend trillions of dollars, at the expense of its citizens, on weapons and a 700 mile long wall along its border with Mexico. The TSA’s new strict regulations. The giant Immigration debate. The burque ban.Without even being present at the attack he provoked a nation to sacrifice its children and its morality to prove that it won’t be pushed around. He got us to show that we could be just as hateful toward Muslims as we thought they were toward us. As happy as I am for the security that Americans will go to sleep with, I can’t help but wonder how short-lived it will be. Yes, although dead, Osama has already won what he wanted. He broke a country and divided a world. Even with assuredness that “this is not a war against Islam,” we all know that reality is different than theory. This became a war against Islam. A war of prejudice. What? Does that mean that I am defending Islam? No. I believe in GOD ALMIGHTY, and I know that JESUS CHRIST is my SAVIOUR, and that HE came so that all that believed him would have ETERNAL LIFE. Nevertheless, although the Islam wars against the Christian principle, we MUST NOT act likewise. 9/11 is much of a pain to me as to any other citizen of this world. However it is a shame that we justify so many years of war on the name of those who no longer can speak their minds. IT IS A SHAME MY FELLOW CHRISTIANS THAT SO MUCH ENJOY THE DEATH OF ONE MORE LOST SOUL. The love of Christ once again didn’t reach one more. Remember that verse that say that God loved the world in such a way that He gave His only begotten son? Well guess what.. Osama, the Al-Qaeda and Muslims are all part of this world. Put your sword back in its place! Everyone who uses a sword will be killed by a sword. It is currently 12:14AM, and here I am writing in this blog. I have committed myself to write as much as I can, and while there is a story being produce in my mind, I have come to write about what is becoming one of my favorite books of all times. 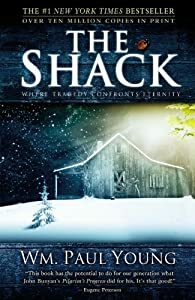 Few books cause the impact on me as The Shack has so done. I promise not to give the book away, but if there has ever been doubt about God‘s goodness in your heart, I advice you to read it. As I write now, I am convicted that God had a specific purpose for my reading of this book. Although controversial in nature (the portrayal of the Trinity is one of the most interesting one’s I have ever seen), the book is also pure, simple, to the point and full of what the principles of God really are. Forget church and forget institutions. What God wants is a relationship; a life where we completely depend on Him. William P. Young has astounded me with his works. I’d give everything to have such a beautiful experience with God. That’s it. All you get. I’m sure it makes no sense… but it will in time. ‘Till then, I bid you farewell. May God bless you immensely. This blog is old. I’ve had it for about three years, but hasn’t written for about two. This blog is a recollection of short stories that I used to write. Most of them, as one would perceive, are full of language errors (mostly because of my learning of the English), and are also very rustic and not well developed. I used to write in this blog when I was away from God. It was the period where God was nothing but a theory. Some of the stories that never made it here were a protest to something I tried to refuse. But God brought me back, and here I am, changed by HIM. Everyday God amazes me more and more. Nevertheless, I am back to my old habits of writing. In this space I will share a bit of my mind… pretty much a bit of everything. Since the future belongs to God, I can’t say what this will become. In the meanwhile it is good to be back to writing… there is lot to write about. It was a strange feeling. Weirder than the anticipation you get right before taking the picture for the yearbook, or having your first kiss – on a scale, they are about the same. She looked at the boy with peculiar hair and different clothes about five feet from her. He was entertained with some activity, which she could not distinguish for only his back was visible, and although she had never noticed before, that boy had a grace in his movements. His hands smoothly fell on the floor, where he would choose pieces of something. He had a strange feeling too. Awkwardly looking back, from the corner of his eyes, he could see she was watched all of his moves. What reason did she have to do so? It certainly should be his bright green t-shirt, or maybe the orange pants. No, maybe it was his blue shoes that he had been wearing everyday for the last two years. He wasn’t allowed to have any more. Somewhere in that same room was a camera. And watching that camera was some man or woman recording it in video. This video would then be taken to a third person, who would analyze it, and make notations. If that boy got a new pair of shoes, all the experiments would be ruined, and six years of work would go down the drain. He had to complete the task alone. The girl suddenly realized he had been watching her too. She freezed, thought on what to do, and dread came over to her mind. Should she stay or should she leave? What would he do? She started to slowly walk backwards, when they boy took the courage to talk. “Hey, want to help me?” he asked, as he motioned for her to come forward. “What are you doing?” she asked back. “Of what?” she was now closer. He thought about the question for a second, and then answered. “The whole universe”.